I think most people will agree that salmon is probably the most versatile fish. A lot of people who do not like fish will eat salmon. It is the most common fish found on restaurant menus. It is not “fishy,” has a substantial texture and a rich taste. It is also a great canvas for any sauce or marinade. The great thing about this recipe is that it can be easily made for 2 or 20. This is a dish I often make just for my husband and myself. I have also, on more than one occasion, made this for a large crowd. I made it for my sister’s engagement party and it was a hit! When making this for a party I roast a whole side of salmon and double the sauce recipe. It is impressive looking and tastes delicious and is really easy! Some people like to keep the skin on their salmon. If you prefer to keep the skin then go ahead and leave it on. I personally do not like it so I ask my fish monger to remove it for me after it has been weighed. 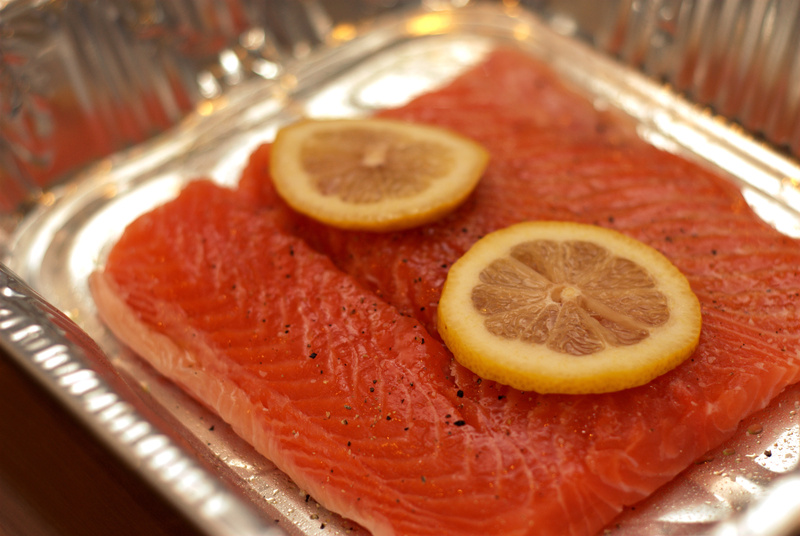 Place the salmon in a baking dish. Rub with olive oil and sprinkle with salt and fresh cracked pepper. Place lemon slices on top of the fish. 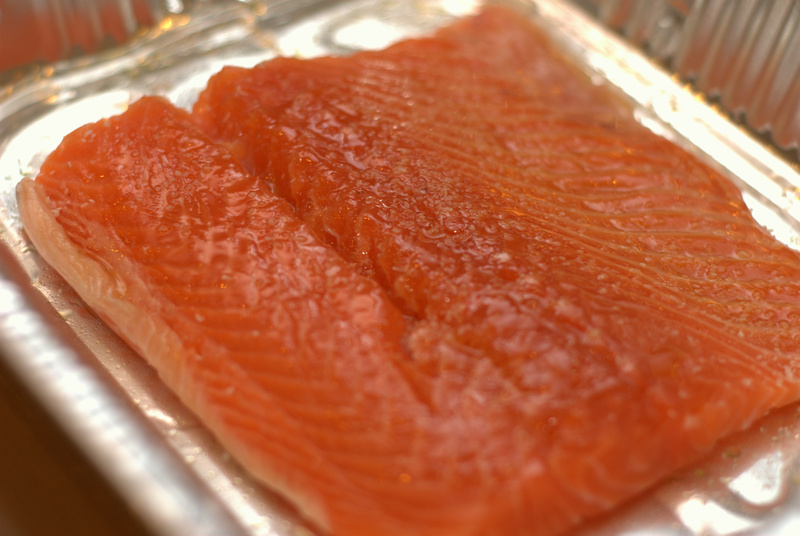 Cook the salmon until just cooked through, about 15 to 20 minutes, depending on thickness. While the fish is cooking prepare the sauce. 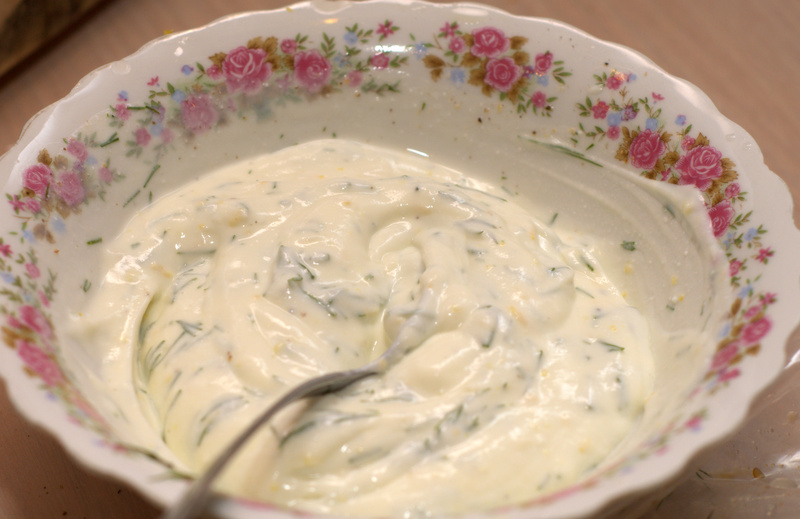 Place the lemon zest in a bowl and stir in the sour cream, milk, lemon juice, mayonnaise, dill, salt and pepper. Mix until you have a sauce like consistency. If the sauce is too thick you can thin it out with more milk. 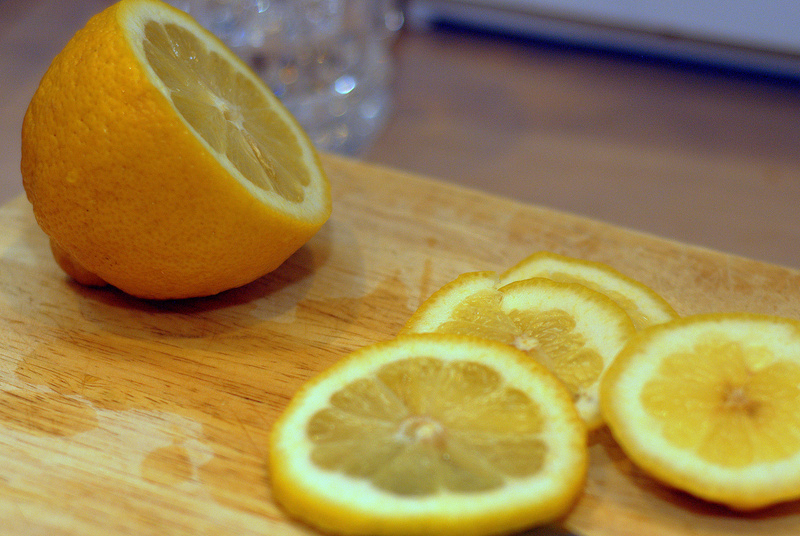 Serve with lemon slices and sauce. 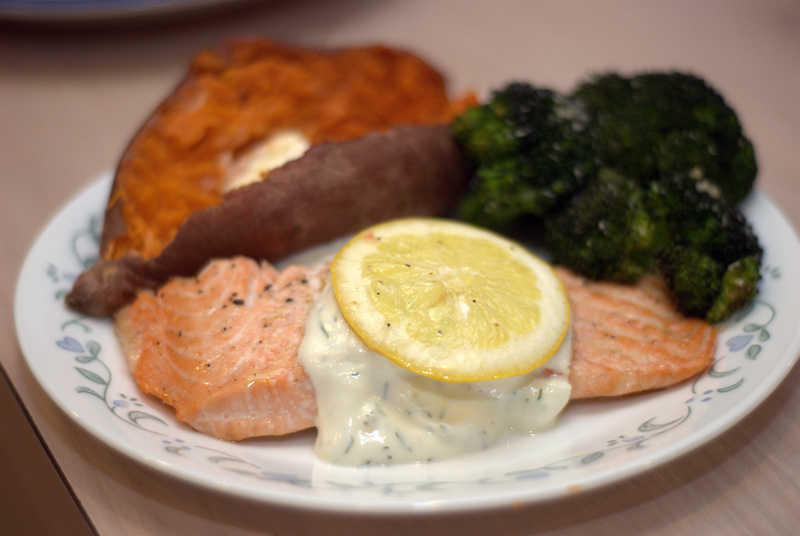 The dill sauce is so tasty and easy to make. This looks great! 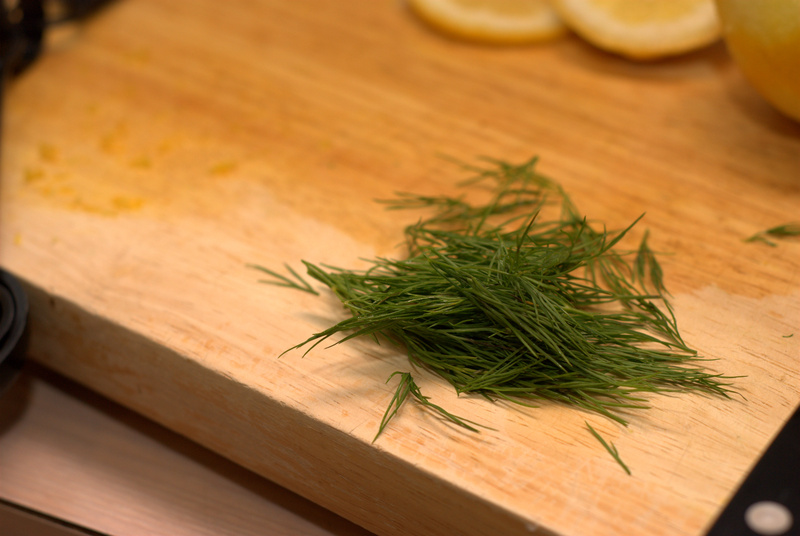 Unfortunately I am not a dill lover, is there another herb you would recommend to swap in for it? If you are not a fan of dill I would suggest swapping out for fresh basil. It would still be great! Let me know if you make it.